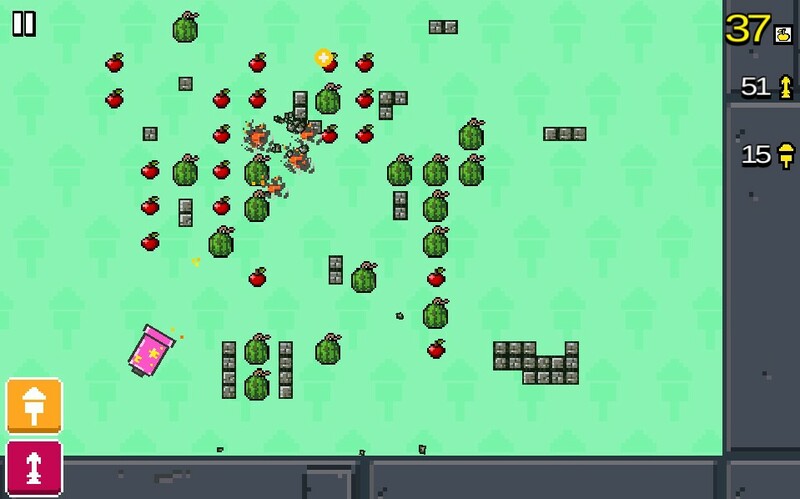 Gunny Grater by Big Trendy Dots is little arcade game with addictive shooting gameplay that you will fall in love with. Shoot the fruits and vegetables through 60 levels filled with juicy exploding tomato, apple, pumpkin, corn, watermelon, pomegranate. Brake stone walls and obstacles. Fill the screen with great mess of chunks bouncing in real pchysics. 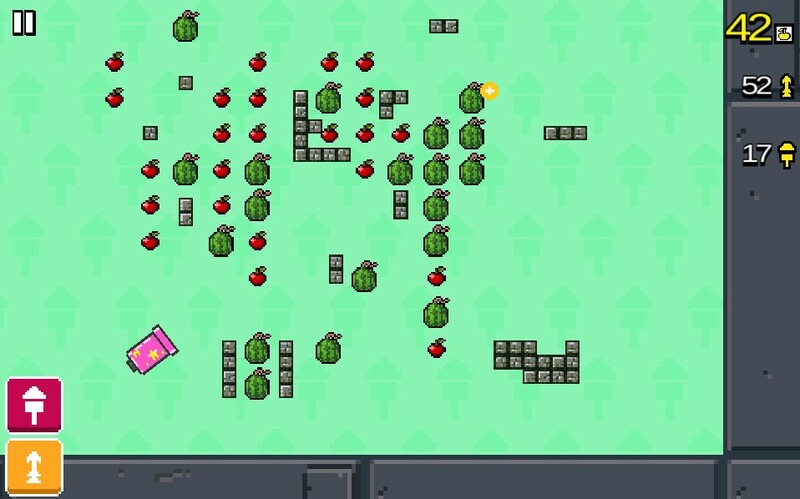 Clear fruits on level with new simple shooting mechanics. Use your good eye aiming to line up perfect arrow shots or perform short/long bursts to crush fruits from above with arrow rain. New shooting mechanics. The far you tap on screen from your cannon base the stronger arrows and petards will fly. 8-bit pixel graphic + real pchysics collisions of sliced fruits and crushed stone blocks. CAMERA CONTROL - Right-click mouse button. SHOOT - Left-click mouse button. ZOOM IN/OUT - Scroll the mouse wheel. 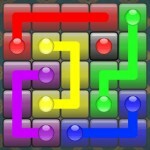 SWITCH TO ARROWS - Left-click Arrow button in left corner of the Apps screen. 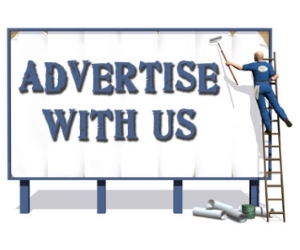 SWITCH TO PETARDS - Left-click Petard button in left corner of the Apps screen. The game idea of Fruit Ninja is simple, very very simple. Just cut the fruit and earn points. But why is it so successful? We think that it is due to a combination of captivating visuals, seemlessly smooth mechanic and simplicity. However, furthermore, we also believe that the thematic fruit slicing endeavour contributes to its success more than it gets credit for. In a way, Gunny Grater, though visually inferior, has similar appeal to Fruit Ninja in terms of slicing and dicing fruits! This time, you get to shoot them in half using a cannon and arrows (yea, that sounds weird, but it is what it is). There's a lot of physics and some strategies involved if you want to win a level. You may also need to remove barriers using explosive arrows in order to access the covered fruits. This web demo version contains only 2 levels. If you like the game, download the full version which has 60 levels with 5 different fruits to shoot! 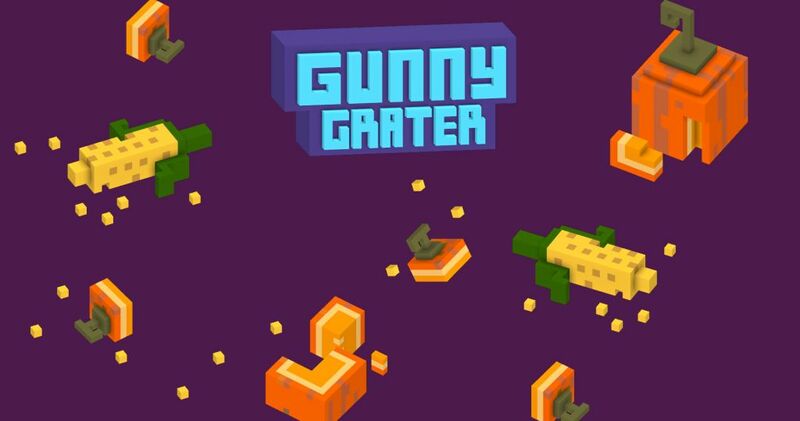 Overall, if you are looking for a satisfying fruit hunter game with retro look, Gunny Grater might be one to play and relax!